Smartphones are non-dividable parts of our day to day life, and if they are equipped with long-lasting battery, then that will be like a cherry on the cake. Now a day’s, battery draining issues are the worst thing that one could face. If your mobile switches off in between your work, then it may irritate you, and your ongoing work will suffer a lot. If you are working in such a field where your mobile is a lifeline for growing your business, then you must need the best battery saver app installed on your phone. Even if you have a phone with better specifications, then also you need the best android battery saver too. Thus, knowing the way to save battery is most important. Here, in this article, I am sharing the information about top 9 apps that may help you to save battery for day long. There are many apps installed in our smartphones that may use more power, so to stop power draining apps, Battery Doctor is the best battery saver app for android. This is a professional power saver app. Only one tap needed for power optimization. It is a healthy charge master that monitors charging and enlarges battery life. This app supported by 28 languages. This has a unique feature of 3 stage charging system. It contains smart charging tips. When the screen is off, it will kill the apps. Usage time showed is not accurate. Ineffective task killer as background apps starts instantly. At the time of running in the background it occupies RAM. Google ratings are 4.5 stars out of 5. DU battery saver is the smart choice of 600+ million users. It is best battery saver app that has experience of more than five years. You can increase 80% battery life by using this light battery saving app. Junk cleaner feature makes this app one of the best battery saver app for android. The DU app helps every time to remove junk up to 1200 MB . Phone cooler Identifies phone temperature and cools down your phone effectively. You can use stand-by mode for long time. Task killer power saver widget help to optimize the power consumption conveniently. It contains default warnings that may bother you. Pro version costs the US $ 2.99. Google Play ratings to this app are 4.5 Stars out of 5. Kaspersky battery life is like blessings to your mobile phone to save battery life to your tablets and mobile phones. This app is a FREE tool that boosts the battery life of your mobile. This app informs you about the apps that are using more power and tell you the battery lifetime. You can stop running apps that may be using more power. Automatic alerts for the energy consuming apps to make you decide whether to halt. It monitors each app continuously so can tell you accurate about battery life. This app is available in English only; any other language support is not there. Users may think that this app asks for accessibility settings to turn on. According to Google play, it has 4.8 Stars out of 5. 4. Super Battery-Battery Doctor & battery life saver. Super battery is easy to use, professional and best android battery saver app. this app contains a smart charging feature that helps you to charge your phone cleverly. Find out the battery draining apps and stop them. Kills apps that may use battery and fasts your battery charging speed. If your phone battery is low, it automatically switched to phone mode to increase the running time of your phone. It cleans junk and frees up space. Weather forecasting is the brand new feature added to this app that may inform you about the weather conditions of your city. Cleans your browsing and search history automatically. So many ads may disturb the users. Some users think that it doesn’t cool down the phone. According to Google Play, it has 4.6 Stars out of 5. Power Battery is itself a less battery consuming app, so it does know how to save your phone battery. If you want to increase battery health then Power Battery is the good choice for you. This helps to make good use of the limited battery. Free trial of 3 days VIP membership. Background apps that draining the battery get effectively stop with its advanced battery saving feature. You can see battery information like battery log, battery status and battery history. Speed-up your phone by removing junk files. This app Doesn’t give accurate information about battery life. According to Google Play, it has 4.5 Stars out of 5. Avast battery saver is the well known application for increasing your phone battery life by closing apps that you are not using. 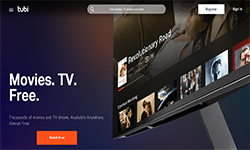 Brand new Avast battery saver 2.0 is easy & powerful than ever before. This easy and powerful app gives complete control on your mobile. There are 5 profiles such as Emergency, work, smart, home and night from which you can use. As per your daily usage this app adjusts the settings of your phone by using adaptive smart profile. It will alert you when switching to a different profile that is based on your activity and battery level. For saving battery, it will not turn on the GPS service. Home screen widget to change profile is missing. Limited, i.e. only 4 customizable battery profiles. According to Google Play, it has 4.4 Stars out of 5. Accubattery is a great app that saves battery as it is designed to keep your battery in the best shape. Accubattery uses information from the battery charger controller to measure actual battery capacity. You can check the charging speed when the screen is on or off. For extended battery life you can use charge alarm. Discharge speed and battery usage per app can be looked up. You will get to know how much time remaining to use your phone. Pro version includes features like dark and ambled black theme, past session (older than 1 day), and detailed battery statistics. It tells us actual battery capacity but takes time for calculations. Contains too many ads and in-app purchases. According to Google Play, it has 4.7 Stars out of 5. Greenify is also managed to fit in the list of best battery saver app due to its doesn’t allow your phone to become slower even though you have installed lots of apps. Greenify helps to run your cellphone smoothly as you have first experienced the day you had it! It finds out the apps that are not used from a long time and put them on the hibernation process. It can access your personal data but it will never instead it uses for hibernation. To increase battery savings on android 6+ “Aggressive Doze” and Doze on the Go” even without root. The free version doesn’t give support to system apps. Pro version costs the US $ 2.99 (even though it is a donation version app). GSam Battery monitor helps to find out the reason behind battery draining by scanning in deep. GSam Battery informs you about the time remains to use your phone before charging. Kill the apps that are draining your battery with App sucker. It goes deep to get know about the apps that are using more power including wakelock details. Downloading helps to create Own icons themes can be created by downloading. By using things like sensor usage & CPU, waketime, kernel wakelocks and app wakelocks it sorts app suckers. You can set personalise alarms for different charge status, battery health and temperature. You can get to know about battery status and time remaining by adding a widget to the home screen. You can create your own icon themes or download them. The optimised mode is not present in the free GSam version. Pro version costs the US $ 2.49. 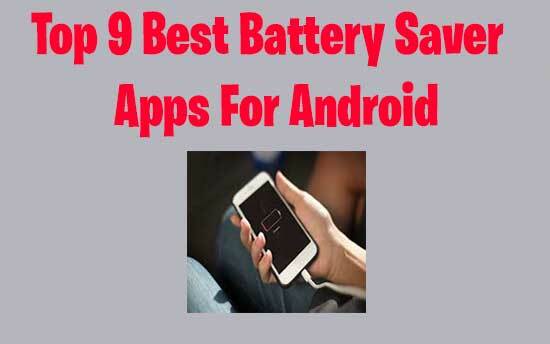 Above mentioned are some of the best battery saver apps that may help you increase your battery life. In my opinion Battery Doctor is the best app that may have all the features required to extend battery life and battery health. Please share your experience of using these apps with us in the comment section. Stay connected with us for more updates. In today’s world, workout tracker apps are playing vital role to keep our body in shape. Nothing is better than working out and to get in shape. Its better to work out as it flushes out all the bad things from the body such as cholesterol, diabetes, blood pressure etc. We have managed to find top 10 best workout tracker apps that will definitely help you to stay fit and active. But, how workout help us to stay fit? Workout helps to keep you active and flexible. It also helps you to boost up your muscles, stamina, etc. Our smart phones are very user friendly as they helps us to track our day to day routine, for example; like from sleep tracking apps we can ensure our sound sleep, alarm clock apps wake us up on time, antivirus apps secures our smartphones, reminder apps help us reminding things, news apps help us stay updated with whats happening in the world, and the list goes on and on. However, lets get back to our main topic today; our android phones have large range of sensors, that can analyze all the information about the workouts which helps us to reduce weight and keep maintaining healthy life style. Following are the top 10 best workout tracker apps you can consider to use while working out at home. If your are concern about your calorie intake and wants to keep record of your nutritional intake, then fitness pal is a perfect fitness calorie monitor. In any good fitness routine, calorie count plays a vital role to keep u updated about your workout routines. Myfitnesspal have user friendly functions for keeping records of calories intake and nutrients counts with its database of 6 million food (it’s growing day by day). This app makes easy to look up and track your food intake with its barcode scanner. One can set their diet routines and exercise schedule with the help of this daily fit log. Persons who are cycling freak, Strava is the great workout tracker for android. This app permits to record run, cycling route map and helps to examine your workout schedule. The exciting quality of strava is; it’s leaderboard, which allows you take part in competition with other app users and can challenge yourself. GPS distance tracker and mile counter is also presents in this app. You are also able to go triathlon and marathon training with its premium version. For cyclist and bike riders this app is one of the superb choice as you can retrieve the enormous roads and track network. This is cycle workout app which also helps you to find new roads for your run. Strava is free app and it contains in-app purchase. This is one of the best workout tracker as it helps to follow the workout regime. You choose what you want, to build muscles, practice cardio, do yoga, strength training or you can personalize your workout routine and you can also able to set workout timings. This is one of the best daily fit log as it helps to set your exercise routine and assure that you will not follow or repeat the same workout patterns. The premium version of this cardio trainer app offers you more characteristics such as, variations in exercise, your workout history able to save personalize workout for full customizable experience. JEFIT helps you to stay fit by providing free fitness programmes and play a role of a gym trainer and workout tracker. It provide you with access of 1300 precise exercises that involve animation on methods of executing them in a proper way. This app also works offline by synchronizing all the information with cloud. It has other functions like a resting timer ,progress report, workout logs, fitness tracking, etc. This app is one of the best fitness tracker for weight lifting by helping them to record their workout routine step by step. JEFIT is a mobile and web base app which helps the peoples who are on their fitness journey by providing them accurate workout schedule tracking. Stronglifts 5×5 is nothing but strength training which includes a five sets of a five repetition with heavy weights where you are maxing yourself by the end of the last set. It also has a various characteristics such as images, fitness tracker and even wear OS support. It has a very particular workout regime. You workout for 45 minutes daily for thrice in a week. This app is best fitness tracker for weightlifting because of its weightlifting method and most of the peoples enjoy it. I live in the midwest city, and here; Midwest City Gym Membership is very expensive for me. I searched a lot for the best 10 gym MWC nearby my area in a decent budget, but I could not find a single one. However, while searching for best 10 gym mwc, I land on the page of Stronglifts 5×5 which has great features with its paid version that comes on yearly subscription. Runkeeper app is one of the best workout tracker app for android users. This app provides you with audio coaching for creating your own workout schedule. Runkeeper is a full fitness app as it calculates elevation, route distance, cycling speed, running pace and calories you burned with high accuracy. Runkeeper app with support of GPS allow cell phones to track your fitness activities and gives good results. This app provides you with the detailed history of your activities. This app also comes with exercise widget. You can connect this android app with smart watch to record your activities. Workit is one of the good workout app because it is a mixture of strength training and workout tracker. This app is little bit different than other apps because you can handle it manually. This app records your workout activities as per your improvements in stamina. Advanced version of this app provides you with the features like BMI calculator and records of progress graph which helps you to see your gains or losses. Map my fitness is the best walking band app as it allows to record your walking regime on map and prompts you for the improvement .You can select and save your favorite route and this app helps you to find the places nearby your location. Map My Fitness Workout trainer app is the best workout app as it keeps on tracking of your workout activities such as yoga, body pump, strength training, walking, cross fit, etc. This app is a perfect weight tracker app because it has feature like calorie count, diet plans and nutrition. This app provides a voice feedback of your GPS tracked workouts. It gives you command over 600 hundred different kinds of exercise tracking. You can use the additional features by premium version of this app. Like its name it’s a perfect app for those who wants to record their running workout and useful for the athletes as well to maintain their daily routine. It guides you orally to achieve your targets and with the help of it’s leaderboard you can save your fulfillment of the goals. Many other apps are having different features but if you don’t want advance features then this app is for you to try. For those who are used to home workout then, this app is the perfect exercise widget. This is the best workout tracker app as it marks your speed, elevation, path, etc. This app allows you to fix your daily targets regarding calorie burned, step count, time, distance covered, etc. It also has amalgamation with android wear. This is a daily fit log for home workouts. This app contains each and every feature in free without any ads or in app purchases. Workout tracker apps are really valuable for those who are interested in tracking their fitness progress day by day. Tracking your progress in fitness is the best way to keep an eye on your body development when it comes to build muscles or loose weight. Hope above mentioned list of best workout tracker apps for android help you to choose the best one for yourself. Now what are you waiting for? Get up, download your choice of app and get into the gym. Your goal is waiting for you. Smart phones nowadays plays very important role to save sensitive information. We install many apps like, banking apps, gallery apps, note taking apps, etc. Everyone wants security for the data which is saved in mobile. Also, we should take utmost care when we are handing over our phones to kids because today’s kids are as smart as our phones. We want to protect our data saved in phones and accessing apps on our phone. In order to do this, there are some of the best applock for android available in Google play store. An android phones with app lockers provides us with safety against unwanted access of the apps in mobile. Most of the android devices don’t come with in-build applock system but some devices are there which came up with this facility. Here, in this article I am introducing u with the best app lock for android, this helps us to maintain security for our device. Most of the users choose this applock app as it is the best locker app for android. By using this, app we can prevent unauthorized access of the apps by using set password feature to a particular app. This app allows you to conceal photos and videos from the gallery in a personal folder. 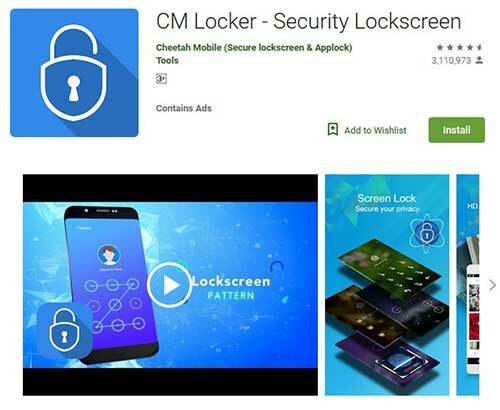 Once you download this android folder lock app, you has to generate a master pattern lock and use at the time of accessing the applications. This application allows you to hide the app icon from the application drawer to help you from the trespassers from accessing your data. Furthermore, add fake cover to locked apps, setting different profiles to lock various apps, enable fingerprint recognition, etc. Are other features of this app. Applock fotoable is the second best app lock, as it covers some of the distinct features for safety of the device. This app contains some of the magnificent features to provide security to our device. This app covers the characteristics like lock install, PIN/pattern, or disguise cover like to shake, blow, or use a crash message to unlock the device. Many wrong attempts of passcode allows this app to take snap of the intruder. Applock Fotable covers all the required features for securing device. This app is ad-free and contain in-app purchases. Applock-Fingerprint is a superb applock for android. You can protect your apps in your device by using PIN, pattern or fingerprint scanner. This app allows you to add dummy icons on locked apps and also you can protect each locked app with different password. This app catches the snap of the trespasser who tries to take command over your device and intimate you by sending email . This app is available for users in 30 various languages. This app has the features like screen and location lock, by using these features to add apps to lock the rotation and light of screen background. For add-free experience u can update to the advance version but, free version of this app includes almost all the mandatory features. Smart applock prevents u from intruders by locking apps u like. Smart app lock is perfect to prevent your important data from unauthorized access of the apps by any others. Another feature of this app is that it asks for a passcode while receiving the call so no one can even attend call from your phone. This app provides PIN, password, and pattern lock features. 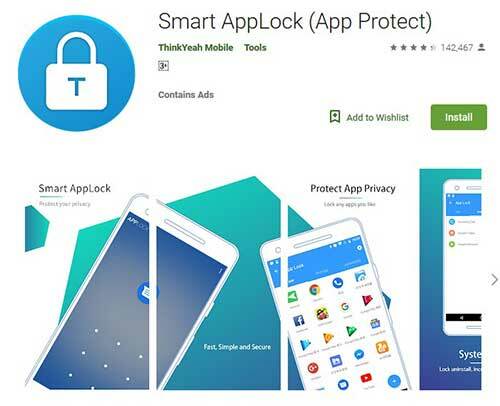 This is the fourth best app lock for android as it provides additional features such as, provision to lock Bluetooth, Wi-Fi and data connection, incoming and outgoing calls also be locked with this app. If you are looking for the antivirus app then, Norton is the best app lock. It uses four digit PIN, pattern, or password to lock the applications. This app also refers you the list of the application which is mandatory to lock. Like other apps, it takes a picture of the trespasser who tries to get command over your phone. This app provides you with the free service and posts less advertisement. This app also provides a separate anti-virus package for android users. 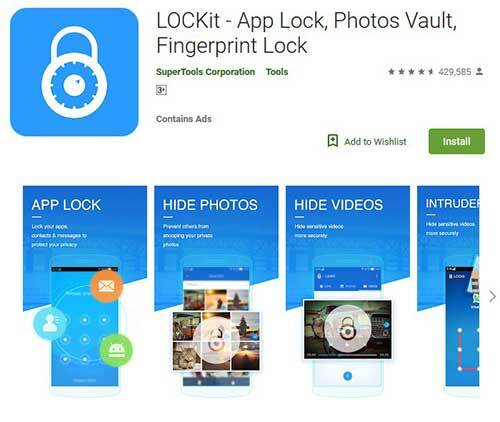 LOCKit is another stunning app to prevent your mobile which also helps you to secure personal files. This is the best applock because it allows you to lock your mobile screen as well. This app uses PIN or pattern for generating master passcode. This app has in-build notification cleaner, file scanner, and phone booster. While typing it shows shambled keypad and LOCKit app allows you to hide drawing path of the pattern or make it invisible. Furthermore, other features of this app include, hiding of personal photos and videos from the gallery and prevent them in another dome. This app locker provides you with power saving mode, enable to prevent apps from uninstallation and takes intruders picture. This app is considers as best app lock for android as it is free and doesn’t contain any ads. 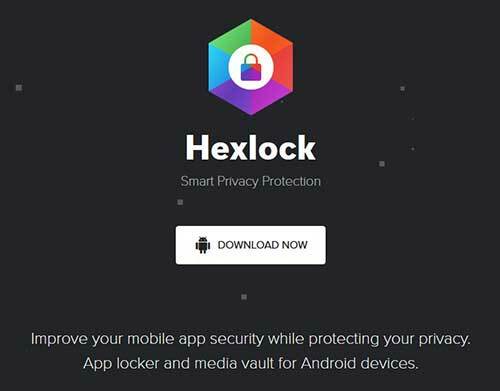 Hexlock app lock lets you to lock the apps by using fingerprint, PIN and pattern as your backup. This is the best applock for android because, this app is newly designed and it’s attractive interface makes it to earn lots of tractions. The app has some of the profiles set in advance like, work, party, home, school, parental, etc. but it also allows you to generate your individual profile. MaxLock is the app which is based on Xposed framework. So, you first need to install Xposed on your device. If you have a rooted android device then this is the best app lock for android, as it offers some of the good features. Locking method involves knock code, pattern, PIN and fingerprint. There are some other properties of this app which makes it the best app lock for android such as, ton of personalization, a masterswitch to disable it easily, ability to remove thumbnails of the apps in latest window, fake crash feature and many more. Premium version of this locker apps for android provides you with some of the additional features like, I.Mod (grace period for late in re-locking), ability to restore the locked apps and logs of failed unlocking attempts. The developers of the CM App Lock are the Cheetah Mobiles who don’t have the good status, all greatness to the immense app recommendations in their different apps. 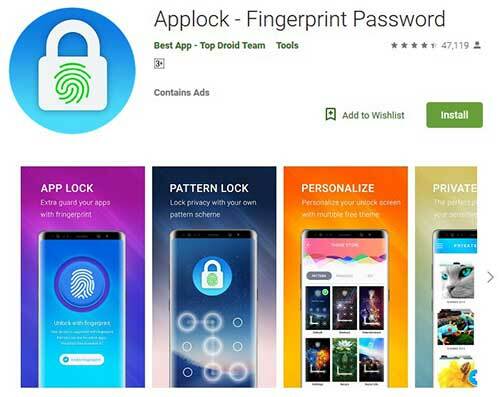 But, it is said that CM App lock is the great applock for android because it supports fingerprint unlocking and helps you to lock apps and settings such as, Wi-Fi, and Bluetooth etc. This locker app for android takes a selfie of the trespasser when 3 wrong attempts are made. You are allowed to select pictures from your phone as background of this app or you will get one of the themes from this app. This app is free and adds free, so u can try this. Private Zone app is another famous name in the app lockers market. This app helps to secure your files and applications effectively. Private zone app proves itself a best applock for android phones because it has parental control properties which prevents your confidential data from your kids and protect kids from doing shopping by using your bank account details. This app provides you with two options to secure your files either by digital password or PIN. Additional features of this app are, clear your browsing history, protects the browsing history and boosts the speed of the phone. How to lock apps? Many people may have this question. But don’t worry I am here to show you how to lock apps using applock application using following instructions. Download the AppLock app from Google playstore. 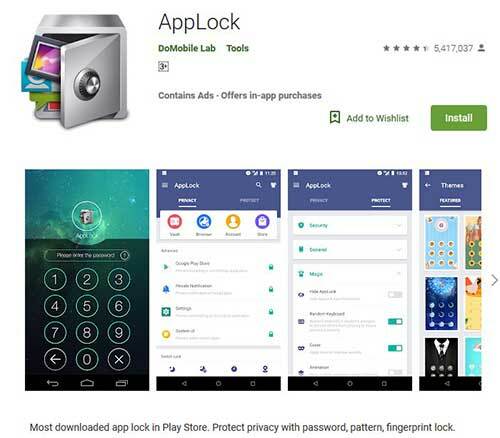 There are number of aplication locker apps are available in the Google playstore out of which the above are the 10 best applock for android. You can use these apps to protect your device and share your experience with us in the comment box. For staying informed with the latest news, android developers has redesigned the best news aggregator apps for smartphone users. Most of the peoples use the news apps on their android and ios as they worried about the fake news breaking up on social media sites and internet. Hence, the most important reason behind why people are looking for the best news apps are they got all important and accurate news under the one roof. Following are the best android apps which provides you the correct and accurate news. Google news app is also known as play newsstand in the news market. 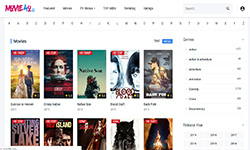 It is one of the smart news apps as it uses AI techniques to deliver the relevant content in the news feed. The breaking news and their headlines are shown with the relevant searched in “FOR YOU” tab. ”FULL COVERAGE” can extend the whole content for you. This amazing news app shows the snippest of various news being published by reputed news portals all around the globe. For the android users, BBC news app is the best news app as it is known for non sensational and neutral news provider. This app comes with the different layouts and gives us the latest reports from every part of the world. You can also change your notification preferences and background settings. One of the reason why BBC news app is the best news aggregator i.e it takes permission to use the data and provides us with the different layout settings. In today’s high tech world, there are number of apps which only focus on stock market. On the other side; Bloomberg is successfully balancing the business stories and stock market. It’s market section updates you about the stock market on the other hand its front page includes financial news. These are some of the best news apps one should consider installing on their android phones to stay updated with the latest news from international, national, financial, sports, buisiness news, and entertainment. Microsoft news app is one of the top buzz app and it is previously known as MSN news. It gives a smooth experience to the android users and its structure helps in logically navigate through the app. This app provides you with the options to choose news headlines featured on various countries. You just lookout of subsidized ads because its layout may create difficulty to metamorphose the organic and subsidized ones. Overall this app gives you a smooth and hasselfree transitions and night mode. No any other app is as good as flipboard when it comes to style and decorative looks. 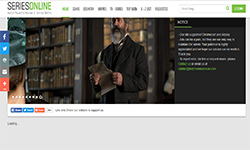 It is very easy to steer because of its print style page layout. The peoples who are busy or not having time at the moment can create custom made magazine of the news feeds on flipboard. Features like “see less new stories like this” and “mute site” make this app unique in its genre. One of the disadvantage of this app is that u cannot remove the same stories from the news updates. News Break-Local and Breaking is one of the best android news app because its whole newsfeed circulates around the things u want to know. Characterstics like “following” and “for you” of this best news aggregator helps to deliver customize news for you. ”Quick view” and “night mode” are other properties of this app. News break is the best android news app for content sharing on social media sites. It also have “instant news” quality which also highlights on your lock screen. Smart news app proved that it’s a best news aggregator app recently. This app examines millions of news objects every second and constructively put them below each matter. The option of delivery time settings is available if you want to get the headline reports on particular time of the day only. There is no need of worry in case of slow network because its “smart news mode” helps you to show the news objects with less illustrations to help you to manage seamless experience. There is also an offline reading more available in this app. Nonetheless; all the key news sources show up as a part of your feed makes it among the best news app in this list. Reddit is the top buzz app for those who are looking to combine interesting and entertainment news feed. Reddit may create different and exciting experience for readers because of it’s amalgamation of social media,news aggregator and message boards. You can subscribe to the subreddits which let you to see various interest. Reddit prominently known for the most occupied community with chat option feature. You can form your own news feed with the help of reddit android app by subscribing to subreddits. Feedly with its fast refresh and multiple layouts believed to be apparent of google reader. For the peoples who trust only specific news sources and unlike the cosmetic brand news, this RSS news feed app is suitable for them. In addition with this, you can access your news feed from phone on your computers with the help of their website. If you want top rated and excited news printed all over the world, the inkl is the best news app for you. This app doesn’t give any rumoured stories or tabloid irritating news. This app only works on the news taken from the top publishers such as Bloomberg, The Washington post, China Daily, and The Guardian. If you are sports lover, whether it is a hocky, baseball, NFL, Football or basketball you will find all the important sports news over here. It gives us a live coverage, full start, which you won’t get from other sites. This app looks great with its newly launched dark design. There is a “Apple Watch” app for ios users. It gives all the updates about almost of the sports such as, La liga soccer, English premier league soccer, champions league soccer, and world cup. Wondering how to get absolutely free-of-cost PlayStation gift codes? After researching a little bit, you must have found the true probability of coming up to a genuine article, that does the job. On the internet, many websites and app owners have published various illegal and uncertain free PSN codes generator and mods. These will claim to give your 100% accurate results, and a full rebate if the code doesn’t work. But when you actually look up to such hoax websites, all you can come across is a bunch of ads, a random code generator and a few fake and so-called ‘human verification’ methods. But quote me, most of these sources would be titled as ‘free PSN codes no human verification, free PSN codes no survey’. Since getting free PSN codes is a matter of high interest among internet users, and so, these foolish dumb heads trick such people into their websites and videos, which is nothing but a publicity stunt. Free PSN Codes Generator is a hoax – There is No Such Thing. Displaying ads, collecting reviews and insisting users to complete offers by signing up to them, are the only scopes that can be observed in such illicit sources. 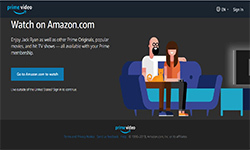 Please don’t share any confidential information with such untrusted websites or apps, as they can be on the verge of getting exposed to third-party vendors. 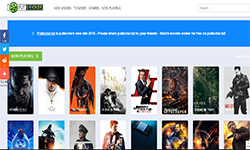 We are in process of creating a demo of such a Free PSN Codes Generator exclusively for our readers to educate them how it look like and its fuctionality: So they can easily identify such false generators and should never try them online. Our developers are dedicated to provide real facts behind these generators to beware the community from such tactics used online to gather information from the users. Hence we are developing a demo generator here below to show you the reality of them. Disclaimer: This demo generator is for educational purposes only. Any similarity of its facts with the original platform(s) is not intended and is purely coincidental. We do not collect any user information through this demo generator. Its just to show you how easy to fall in the trap of these kind of claims. 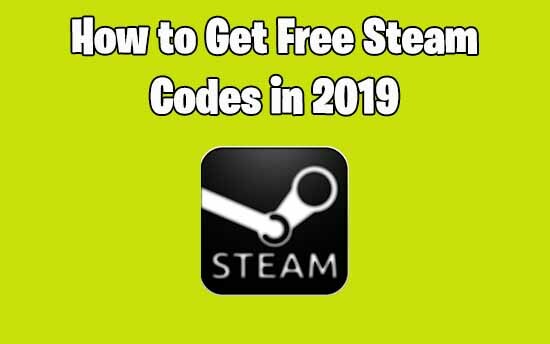 So, having discussed harmful Free PSN Codes Generator, and its falsity, let’s now proceed towards a bunch of legal and 100% working tips and tricks on how to get free PSN codes. 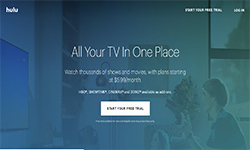 CashCrate is a GPT (get-paid-to click) website, which means that they have got a bunch of different services like offers, surveys, shopping referrals, interaction. Based on what activity you’d like to perform, the website will be rewarding you a little bit of money with every one of them. Most of the options on CashCrate are offers, in which you need to sign up to another website or install an app. With each offer, survey or shopping referral, you can earn points and rewards. The Surveys available here are completely genuine and from trusted sources like Survey Monkey, and each survey takes around 30-45 mins to be filled up. And you can earn around 20 cents to a dollar, with each survey. Shopping referrals include sharing the merchant’s website link to your contacts (e.g. 100 of them), in order to get them more views and sales. In return, they will be paying you some cash. RewardHub has a really sober and professional website layout and the first impression of anyone visiting it as a money-earning source, would surely not be disappointed. Unlike the other exaggerated GPT websites, which not only are but also seem to be a scam. They also have an app for completing tasks more conveniently. The various tasks provided by RewardHub are legit and genuine, such as watching a video, taking quizzes, trying newly released products, writing a product review and sharing a post. In fact, these people have set up a totally transparent payment environment, through which you can easily convert your hard earned money into free PSN codes. 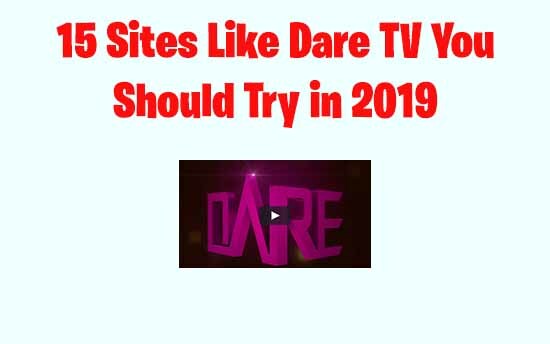 You can get up to $1 for watching an ad, $2 for playing a quiz and $5 for sharing content on social media. Another exciting feature about RewardHub is that your rewards never expire, even if they rest on your account for years. Also, there’s no capping limit to the amount of money that can be earned through various services. Recently, there’s an offer running on their official website, under which, on earning your first $20, your rewards will get DOUBLED! Yeah, and it’s totally legit and verified. 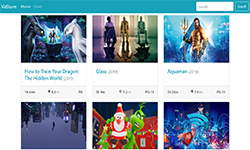 Clixsense is another GPT (get-paid-to do) website in which you can earn rewards upon doing certain tasks such as watching videos, playing games, signing up to offers, and much more. The biggest aspect of Clixsense is that it has been a trusted and reputed source of income for more than a decade. And it has been partnered with by numerous companies and brands, to assign small and simple tasks to the users and let them make a few dollars per day. Paid surveys on Clixsense are real, and that’s proven by the fact that you may not be qualified for all surveys, and only to those with which your demographic details match. Cash offers contain filling up forms and signing up to the offer, for which you’ll get paid. Watching videos/gameplay of 2-3 mins is another option, and as you’re doing that, ads will be displayed in between, which are the source of money for the developer, and of course, you’ll be getting a small commission for it. Their payment process is also simple and just 1-click away. You can redeem free PSN codes of any value, with the money that you’ve collected in your account by doing the tasks mentioned above. Now if you’re looking for a legitimate and the best income option for smartphones, Cash for Apps is a perfect choice. The money-earning mechanism is simple as hell, you just need to watch videos, play games, install a bunch of other apps to earn points. With no complexity, they’re just simple and straightforward coins, which can be claimed for buying things like gift cards, shopping coupons, etc. The lucidity of this app’s designs makes it seem to be pretty easy to earn money online, for free. The offers along with the dedicated awards will be listed on the app’s homepage. Most of the smaller tasks have up to 50 points on them, while the bigger ones may even go up to 200-300 points at a time. You need to be logging in to the app regularly because such special offers worth more points get listed only a few times. There are no doubtful tasks such as giving surveys or filling up forms, which may breach your private data. Instead, there are simple and straightforward tricks to earn money and are absolutely risk-free. Don’t quote me on this, but the average conversion rate in terms of gift card value is $1 per 300 coins. When you realise that you’re getting paid for completing simple offers and tasks worth a few minutes, it feels strange. So, what are you waiting for? Hurry and sign up to the app to experience it all by yourself. It’s a totally free service which is based upon downloading, installing and signing up to paid applications, in order to receive credits. These credits can be used to purchase the free PSN codes that we’re here for. Just open the app, and from the list displayed, choose any app and remember to look at the number of points that it’s gonna reward you with. Do whatever you’re instructed to, such as installing and running the app. And when you come back to the app, the credits will get reflected in your account immediately and seamlessly. It can be run on any version of Android/iOS that you have and thus, it has had no severe compatibility issue till date. You can also get extra rewards every time you share Freemyapps app to any of your contacts through any medium. The significant advantage of a money-earning app over a website is its accessibility and coherence. 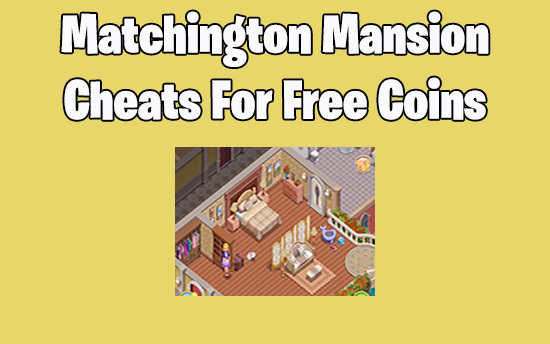 It’s easy, you’ve got certain directives, you fulfil them, you get points and then you can claim free gift cards (PlayStation, Steam, etc) or cash (into PayPal; it’s the easiest way) with such points and credits. But there needs to be one precaution in your mind all the time, do not install apps and offers from untrusted and unauthorized sources. Now, how do you know about an offer being legitimate or not? Just google the name of an app before signing up to it, and verify the app description and reviews. It’s just going to take a few minutes to be done and can prevent any misevent from happening. All the methods mentioned here, to earn free PSN codes, are useful only if you tend to familiarize with them more often. It’s not possible to try them for a single day and buy gift vouchers worth hundreds of dollars. Consistency is a vital factor when it comes to earning money online with zero investment. Think, someone is paying you without a formal agreement, or a job, so isn’t that going to take some time? 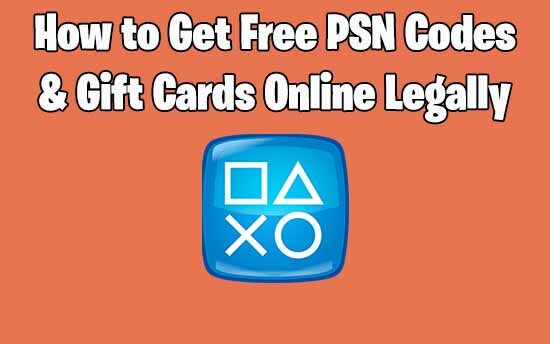 Disclaimer: As we have mentioned these tips based upon the present scenario of the listed apps and websites, it’s possible that these sources may rule out the option of redeeming points into PlayStation gift cards, in the future. In that case, all the rights to the modification of services will remain with the original developers respectively. Hey! 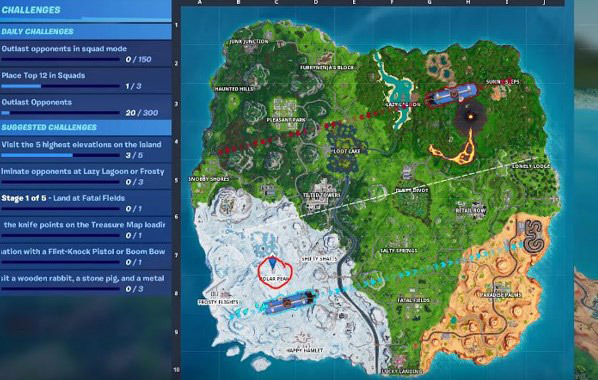 If you’re here to find the Fortnite best weapons, I assure you that you’re going to be stunned by the end of this article. 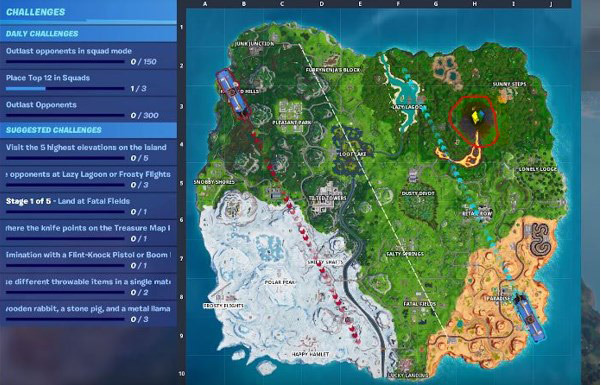 As Fortnite has emerged as one of the best RPG games in the past few years, we’d like to list out and clarify the matter regarding Fortnite best weapons till date, and how much of an impact can they have on your overall performance in the game. It’s a beast type of weapon due to its multipurpose nature, as it can snipe from a long distance. They can hit body shots for damage up to 157 on the gold and 150 on the purple. It also has a great positivity to it, i.e. you can use it like a Deagle to bust into peoples’ walls, knock down the wall and push them, which is really helpful in a battle. It also has a lower reload time, but there is a condition for using this weapon. If you’ve not been a sniper in the majority of your games, I’d suggest not to use this weapon in gunfights. 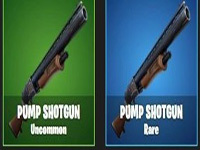 There is quite a difference between the purple and the blue pump based on their rarity and, many other factors. 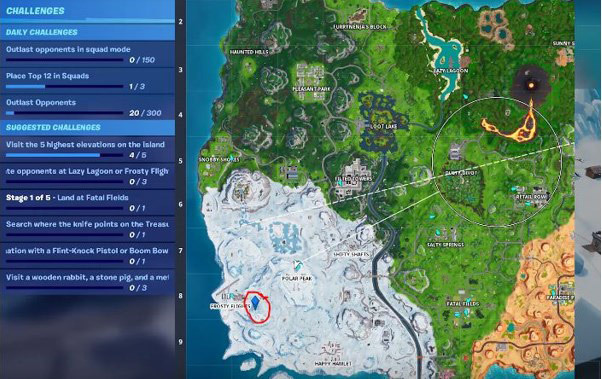 The blue pump can hit up to 100 to the body, and along with a headshot (x2 multiplier), it would be absolutely lethal for close-range shots. 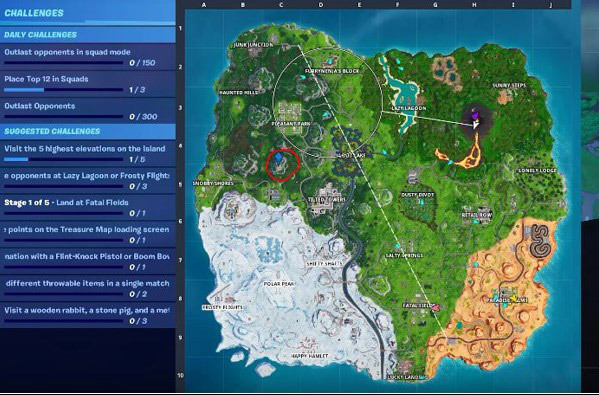 Because, the max health and shield command that you can have in Fortnite is 200, hence with the pump shotgun, you’ve got the one-shot potential. 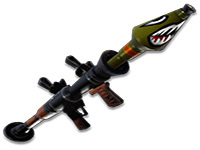 Its deadly headshots make it one of the best Fortnite weapons. If you can get one of these in the early stages of the game, you can hold yourself to be at a really nice position to cause more damage and win the battle royale. 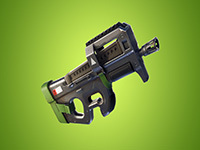 It’s a really interesting and easy-to-use and one of Fortnite Save the World best weapons if you get to familiarize with it. It’s really competitive with the P90 as well as the Deagle. 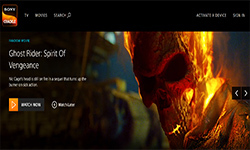 Traditionally, players like to carry an AR (assault rifle) and a shotgun, but the 3rd place is where the choice of weapon starts to mix up, and it all depends on the personalisation set by the player. 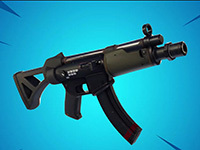 Blue SMG is an exciting gun to find and use because it’s wicked with the fire rate and taking out peoples’ walls and build fights only for mid to close-range targets. 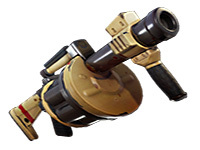 This one among the best weapons in Fortnite is what you’d prefer if you’re looking for a bigger magazine, more accuracy or a better fire rate to get through peoples’ walls. P90 and the blue SMG are a good choice to make in a game, because of their extensive power and brutality of shots. I mean, if you’re not looking for a weapon as strong as a shotgun, because you’re not always gonna get that 200 damage headshot right? So a lot of times you may hit them with a big crack of 130 to 160 for the maximum. But switching over to a great SMG to use it as a finishing weapon is still a very effective decision to take in a battle, and that’s the sole reason for me including the gold P90 on the list in the top 5s. Being one of the best weapons in Fortnite, if you find this, your chances of winning a battle royale match increase dramatically. But finding this gun is very difficult, as this is a rare one and you get it mostly inside chests or supply drops. Fortnite is all about killing other people and looting their weapons, to possess the best possible combination of weapons till the end. 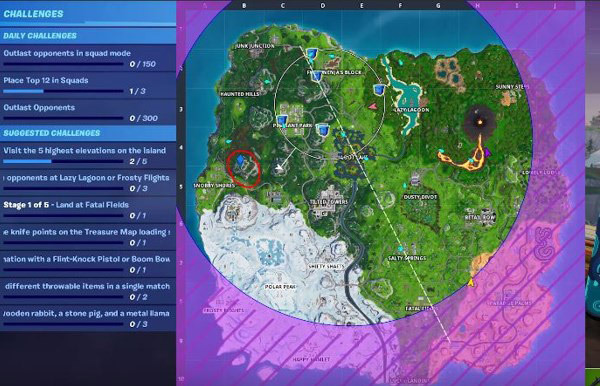 Thus, gunfights witrtnih the enemies become an integral part of Fortnite’s amazing experiences. 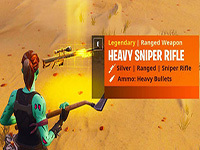 This gun among Fortnite best weapons, is absolutely wicked in terms of the game’s terrains, as mostly the landscapes are not composed of the flat ground everywhere. But, it’s really hard to familiarize with this gun, as it’s heavier than most of the other guns and thus you can’t jump too quickly while having equipped it. On flat grounds, such as inside a house, this gun is what is known as the God of all other weapons. It can serve to be deadly if you spray it over enemies who try to push on you. Also, the reloading capacity of the gun is great, as there can be a total of 18 rockets equipped with the gun. 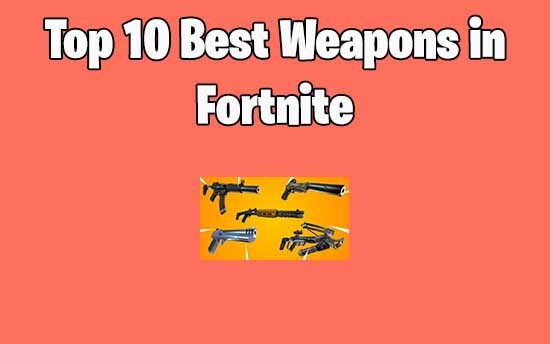 Although the choice of weapons is totally a personal preference, here you can read about the best picks among all the Fortnite best weapons which have been tested on the basis of a general audience. In squads, the grenade launcher comes handy, but in solos, you should prefer taking an RPG because most of the players are good at building, nowadays. And they can afford to build walls at a great pace which causes a problem with the ones who’re not so familiarised to it. Gold RPG is amazing when you’re above the enemy, aiming downwards, and also when you’re trying to reset the fight when you’re below your enemy. It’s normally an ideal utility to put in the last slot of weapons. Because, the other four are not that much of ‘utility’ items, but they are mainstream guns. I think that knocking out people by just hitting them on their heads, is the most thrilling moment that I’d ever like to experience in Fortnite. And adding more to it, 110 damage to the body, that’s freaking mind-baffling, right? There’s also a margin of error with this gun, and that truly enhances its usability, and moreover, no need to fire all the pallets to get a single shot successful. The reload time is a bit nasty i.e. 4.2s, but who cares about that when you’re about to get a Godzilla of guns in your hands.